AVC will design and implement an audio system for your needs, including audio conference, voice lift, sound masking, public address, music systems and many more. DSP’s are the core of a audio system. DSP’s have multiple functions namely signal routing and processing. Common processing functions are feedback suppression, echo cancellation, USB audio, VOIP, Dante and AVB network audio, noise cancellation and many more. Audio amplifiers are available in different power and impedance ratings.Amplifiers are matched with speakers for the environment and usage. Loudspeakers are available various different designs. Ceiling, cabinet and portable speakers are commonly used in AV venues. Loudspeaker quality is important and must be consider with the audio application. 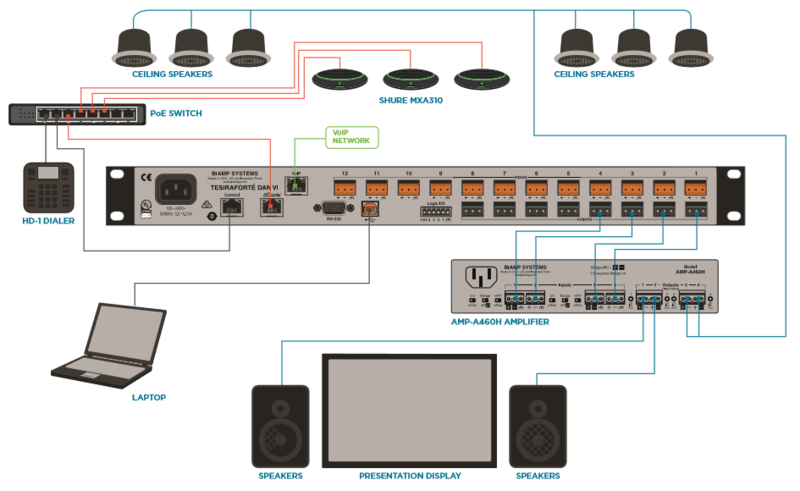 AVC uses professional audio products from Biamp, Bose, Crown, DBX, Extron, Wharfedale and many more, to design and implement an audio system that is efficient and crystal clear quality.